There be trouble in paradise as people are now talking about this week’s All New X-Men # 40 and the controversial outing of one of the original five or “O5” X-Men. We love you so much that we decided to spoil it already. Well at the deeper end of this article anyway. 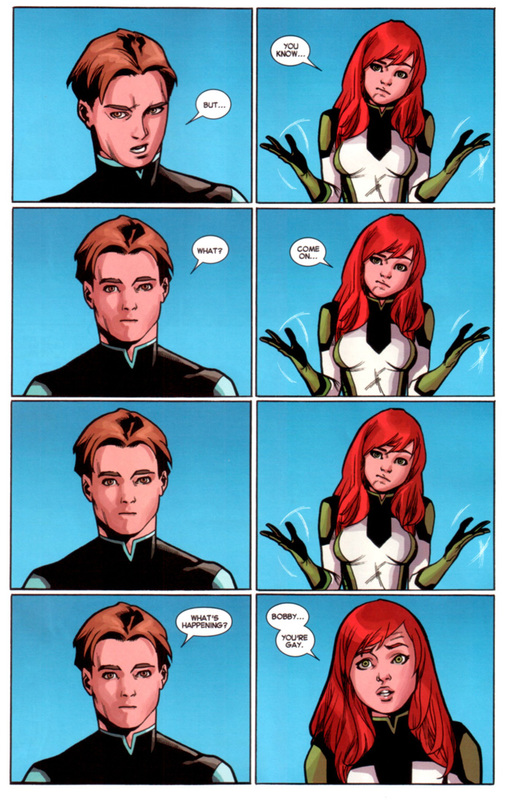 Ok, it’s kind of a no-brainer if you have been paying attention to your X-Men history. 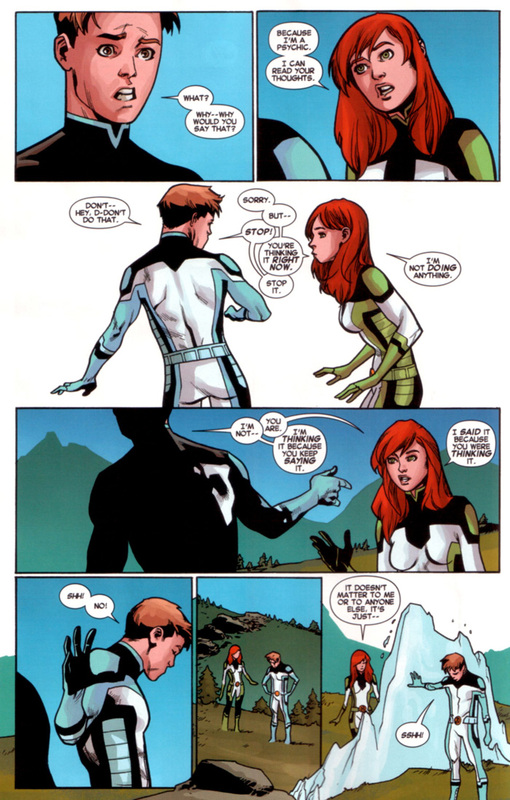 The character in question is Iceman aka Bobby Drake. 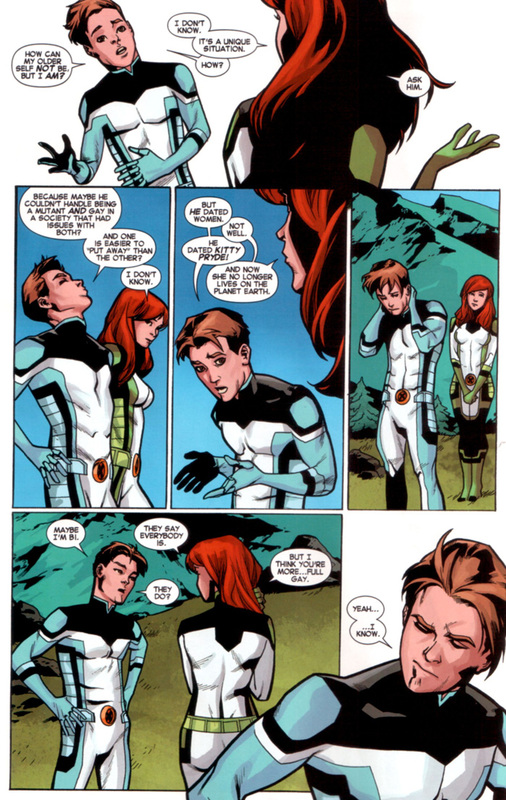 As mentioned earlier, this isn’t the first time Iceman’s sexual orientation was questioned. 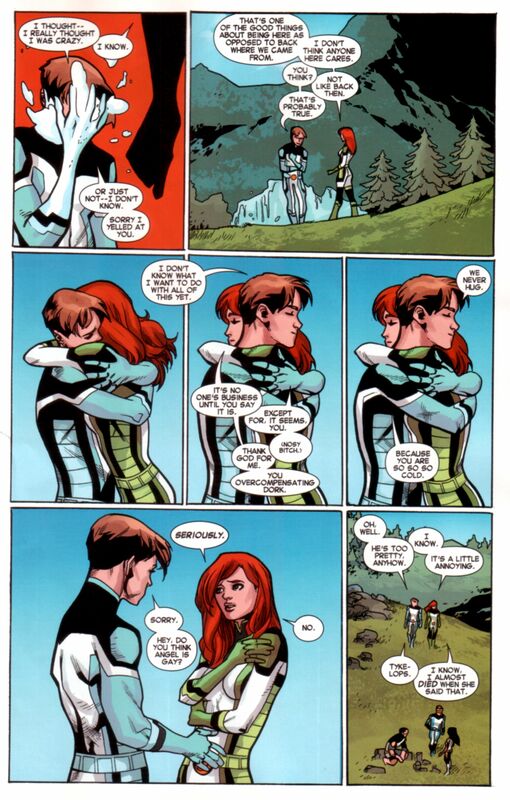 There was that moment he and then-girlfriend Emma Frost had this conversation that was bordering on almost being revealed to be a closeted gay man; there were also moments in recent times where Bobby got hit on by Northstar and Shatterstar in two separate instances. 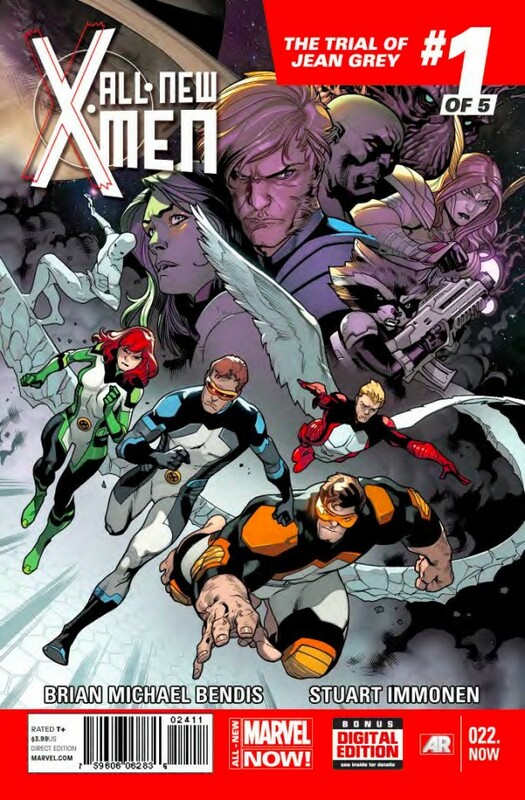 Still the judgment hasn’t been passed yet although we think Drake would be a good addition to the gay X-Men; and they need to have their own team book as well aptly titled EX-Men.